High-quality design mixed with powerful performance for a kitchen range hood that's easy to use yet still makes you feel like a pro. This powerful 860 CFM blower motor removes grease and heat vapours from the air. 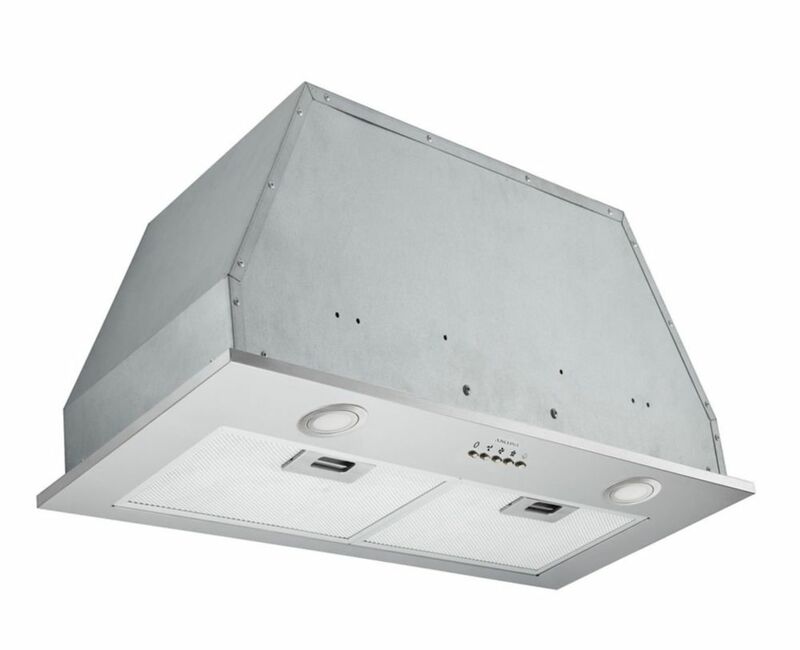 The hood integrates a 6" circular exhaust duct connection with interchangeables baffles and reinforced micro holes filters. Built-In 28 inch Range Hood in Stainless Steel Get more, do more and enjoy more with the Ancona B328 range hood. Made from the high quality 430 stainless steel with an integrated motor for efficient and powerful ventilation, this model range hood delivers unprecedented performance while protecting kitchen walls from steam and effectively removing cooking smells. Featuring easy to use 3-speed push button controls, stylish GU-10 halogen bulbs providing ample task lighting and removable 5-layer aluminum mesh filters for easy cleaning. The Ancona B328 provides power, and affordable built-in Italian inspired style that will complement your kitchen cabinets perfectly.